Wondering if too much screen time is a bad thing? Let’s face it, our kids (and some of us adults) can’t live without our phones & tablets. We live in an ever-increasing electronic age and it seems to be going nowhere but up. But are we setting screen time limits for our kids? If so, is it enough? And if we aren’t, should we be? 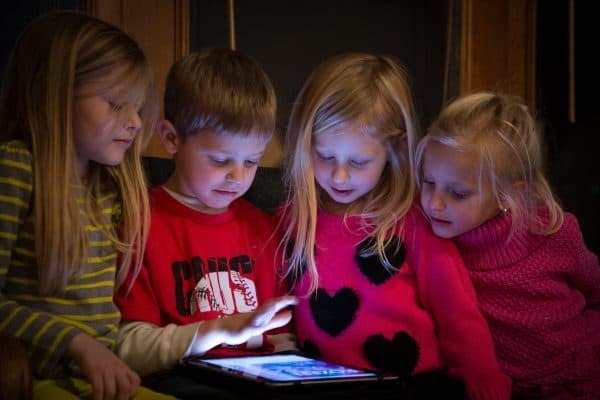 The benefits of limiting screen time include helping kids be more physically active, reducing developmental & behavioral issues like ADHD, helping kids connect more with others and be more present to the world around them. If you are a parent, you have doubtlessly questioned the benefits of limiting screen time. If you haven’t, its a question worth asking. In this post, we’re diving in deep into the screens that seem to dominate kids lives today. We’ll look at what the experts say and examine the real dangers of too much screen time. We’ll also hear from experts who advocate for screen time. Specifically, though, we’ll examine the top benefits of limiting screen time and how to implement them in your family. When my parents were kids it simply wasn’t like that. Most women in that age stayed home and thus there was plenty of time to make dinner, clean the house, etc. The benefits of limiting screen time weren’t even a flicker in anyone’s imagination. 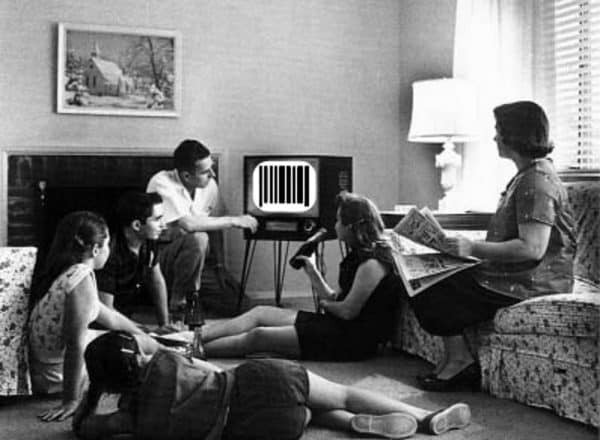 Most families simply gathered around the radio or a black and white TV for an hour in the evenings. In our day and age, it’s simply a whole new world. Screen time has become part of our everyday culture. People feel weird if they forget their phone at home. They forget that for decades people operated just fine without the power of NASA circa 1960s in their back pocket. But I get it. We come home after a long day of work. Then we have to make sure dinner is on the table. Make sure the kids did their homework and pick up around the house. Giving them no screen time limits gives us a little peace of mind. It allows us to do stuff because our kids are occupied. But in the back of our minds, we know there are benefits of limiting screen time. Should you limit screen time? Think screen time in your house is out of control? I have a previous post about Cell Phone Addiction Symptoms. It’s well worth checking out if you haven’t already. After all, if we have an issue with technology addiction, we can’t very well curb our children’s addiction to their screens. So pluses and minuses to be sure. The ultimate angel on one shoulder and the devil on the other. So if we know there are benefits of limiting screen time, how much screen time for kids is too much? How much screen time does the average kid spend a day? 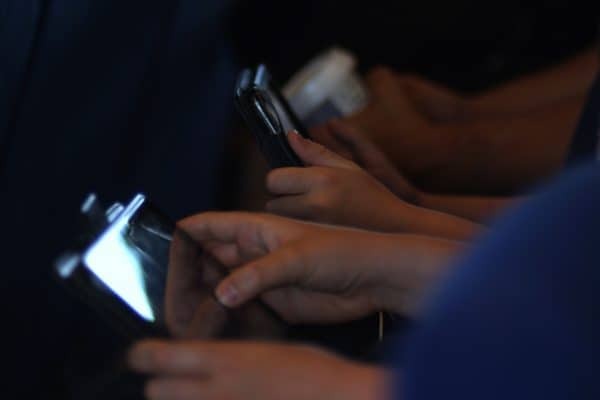 The sad truth is, according to a study published by the American Heart Association, kids ages 8 to 18 are spending upwards of 7 hours a day on a screen. Of course, some of that is at school, but it’s still WAY out of control. Their study was designed to look at the impact of screens and kids being less phyiscally active than previous generations and how that affects childhood obesity and heart issues. They go on to suggest limiting screen time to no more than 2 hours a day. For kids aged 2 to 5, they recommend no more than 1 hour. In our house, we are stricter still as my oldest tween daughters just get 1 hour a day (on school days) and a little bit more on weekends. How long should a child look at a screen? 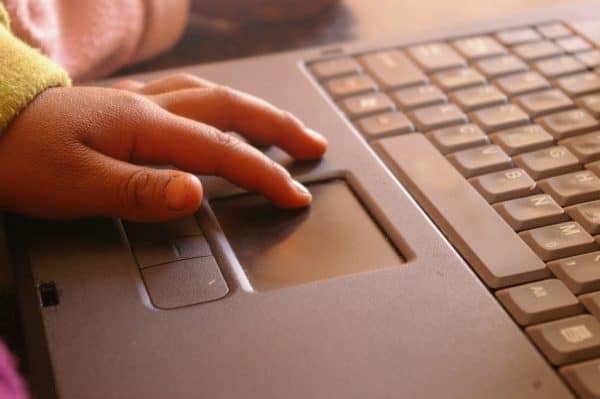 Aside from keeping kids less physically active, there are also concerns about the actual light emitted from the screen itself and how that affects children (and adults). So even if you set limits on screen time (and you should), it’s good to break that up into chunks. In our house, our older tween girls get a little tech time while I fix their breakfasts and my wife gets their lunches ready (maybe 20 minutes max). They get a little bit more when they first get home from school before doing homework, and then, if they haven’t hit their limit of 1 hour/day, they get a bit more before dinner and the bedtime routine. Breaking it up into chunks gets them moving a bit in between screen time. It also gets their minds thinking about different things and, most importantly, gets them interacting with other people instead of being completely engrossed in an online world. We know Technology Affects the Brain Negatively. Why should screen time be limited? They have, however, recently dropped their recommendation that children 6 and up be limited to 2 hours per day of screen time. How much screen time should a 2 year old have? Up to 18 months the American Academy of Pediatrics recommends NO screen time, at least in terms of phones and tablets. By age 2, just a few months later, you can begin to introduce a very small amount of screen time if you wish. In my house, however, it will likely be age 4 before our youngest daughter gets a shot at any handheld screen. The other benefit of getting our younger kids off screens is that they can learn How to Play Independently without just zoning out in front of a screen. That helps with cognative development in addition to the benefits of getting them physically moving. How do I reduce my toddler’s screen time? 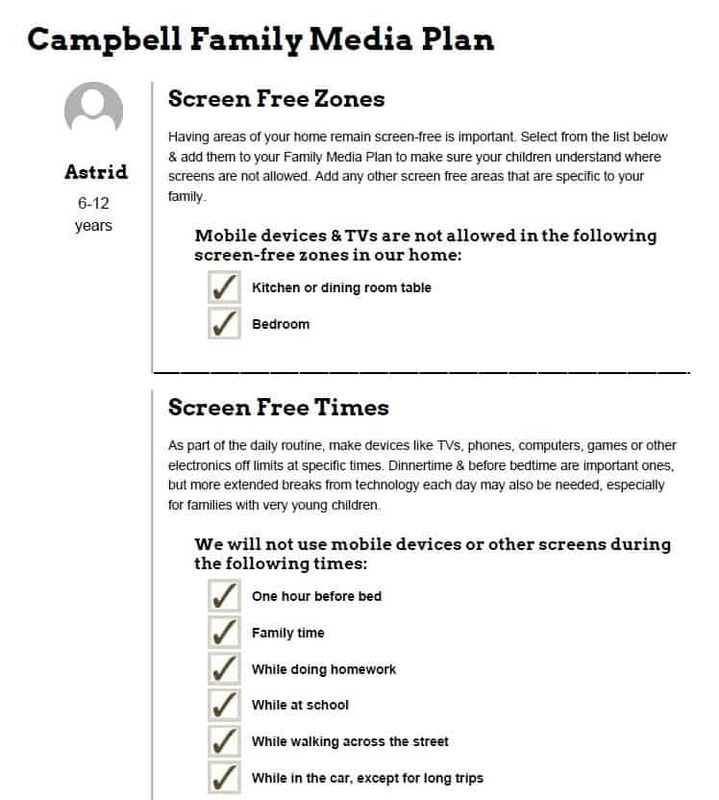 The American Academy of Pediatrics goes on to strongly suggests families with young kids come up with a Family Media Plan. They also strongly suggest that electronic devices not be used in the bedrooms. In addition, they suggest having a dedicated spot in the house for devices to charge and remain overnight. Need more detail on the media plan? Even Steve Jobs knew the benefits of limiting screen time! He did! 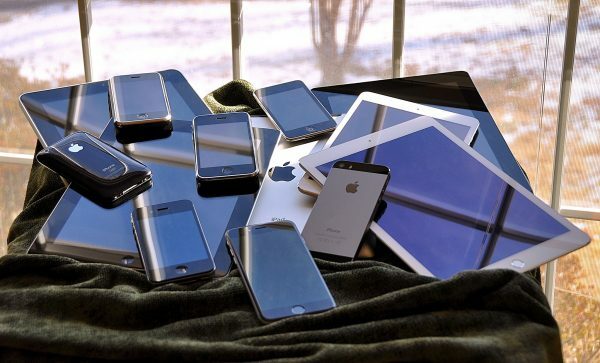 The guy who practically invented personal computers, cell phones, and tablets did indeed have strict screen time limits in his house. When the iPad was first released, Jobs was asked how much his kids loved it. His response? “They haven’t used it”. He went on to say “We limit how much technology our kids use at home.” See more on that story in this great piece by the New York Times. I have an earlier blog post that addresses the ADD & ADHD issue and a new study. That study finds that play time away from things like electronic devices can actually improve the symptoms of those conditions. If your child is suffering from ADHD, I highly recommend you take a moment and review some of the best ways of Treating ADHD Naturally. I know it is a potentially a contentious statement to imply that too much screen time could possibly cause ADHD. And I’m not here to call anyone a bad parent because they make different choices than I do. I’m also not saying that if your child has ADHD that it’s tied to the choices you made as parents. I am here to say I don’t have all the answers but I’m not afraid to ask questions. We all make mistakes and we learn as we go and what works for one family may not work for another. So fear not; we’re in this together and we can all learn from each other. Educators who advocate for screen time! Professor Christopher Ferguson of Stetson University has published a few related studies on this subject and some adjacent topics. He claims to have found, among other things, that there is only a minimal association between excessive screen time and rates of childhood depression. He also has studies where he claims finding that show no correlation between video games and violent behavior. My jury is still out on his point of view, although to be sure, violent video games alone do not a serial killer make. To sum up, I think the benefits of limiting screen time can be a complicated issue! I think it’s an issue almost every parent faces. And I think the issues created by a lack of screen time limits probably manifest themselves differently in different households. Thus there may not be 1 right answer. So what are we, as parents, supposed to do? As with all of parenting, we know we are going to make mistakes. We know that even if we try our best, we will still make a call we later regret. All we can do is remember to breathe, be kind to ourselves & own our mistakes to our kids. If you see a behavior manifesting; talk about it. If you think screen time is an issue you haven’t properly addressed before; address it now! The benefits of limiting screen time are proven. Don’t be afraid to be that weird parent that doesn’t let their 9-year-old have a $600 smartphone and a Facebook account! All we can do is our best. If you are there for your kids, provide love, care, knowledge, shelter, and food you are covering all the essentials. Just be real. Be honest. Care. Connect. Be Present. 13 Suggestions on the Benefits of Limiting Screen Time? Make sure what they are doing is age appropriate! Make sure both parents are on the same page! Make sure you aren’t asking your kids to do things you aren’t willing to do! They can smell a hypocrite a mile away! Check in with your kids – It may not interest you at all, but take an interest in what games and websites your kids are going to. After all, you’re showing interest in your kids, not the website or game. Did I cover all the benefits of limiting screen time you were looking for? In this post, we took an in-depth look into what many consider a big problem with today’s generation. I’m talking about screens and the potential damage they can do when our kids spend too much time on them. We heard from experts on both sides. Then we looked at the hard, cold facts. Specifically, though, we looked at the top benefits of limiting screen time so you can make the best decision for your family. What is your biggest parenting challenge? If you like this post, please follow my Parenting board on Pinterest for more great tips from myself and top parenting experts! 31 Best Mother’s Day Inspirational Quotes You Must Know!